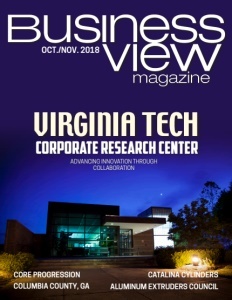 Business View Magazine interviews Michael Anderson, President of the Anderson Automotive Group, as part of our focus on best business practices. After college, my dad, Fred, went into the car business and he really expanded it and grew it into multiple stores,” Anderson continues. “We expanded from just Chevrolet to Jeep, Chrysler, Dodge, and Nissan, which was Datsun, at the time. In 1987, my dad became a Toyota dealer in Raleigh. 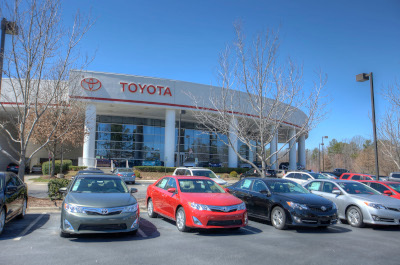 That was his first Toyota store; his first large store in a metro area and that really catapulted things.” Over the years, that Toyota store became the flagship operation of the Anderson Automotive Group, which, today, has become one of the largest dealerships in the Southeastern United States with Toyota, Scion, Nissan, and Kia outlets located in Raleigh, Sanford, Fayetteville, and Asheville in North Carolina, and Columbia and Charleston in South Carolina. “We’re in the process of acquiring a ninth store, which will take us close to 1,000 employees and I think we’ll probably push about $850 million in revenue, this year,” Anderson adds. Of course, those important relationships also extend to the Group’s many important business partners, including Comerica Bank; the JM&A Group, which offers vehicle insurance, car protection plans, and auto finance services; the Moran Group, a Louisiana-based advertising company; and Alan Ram’s Proactive Training Solutions, the industry leader in automotive telephone training, dealership management training, automotive Internet sales training, automotive BDC training, and car sales training. 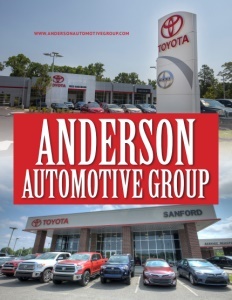 The Anderson Automotive Group’s goal is to be “the most admired, most competitive, and most profitable dealership in the Southeast, by delivering a friendly, valuable, and transparent product with every customer, every time.” After more than 60 years of serving those customers in the Carolinas, it’s pretty safe to conclude that this family-owned business has already achieved that very worthy goal. Check out this handpicked feature on Findlay Automotive Group – Family-Owned Since 1961.